You are browsing the Blog for Coalition for Syrian Refugees. This week’s newsletter is coming to you all slightly early as I and other dignified delegates are London-bound for the Amnesty International Student Conference 2014! 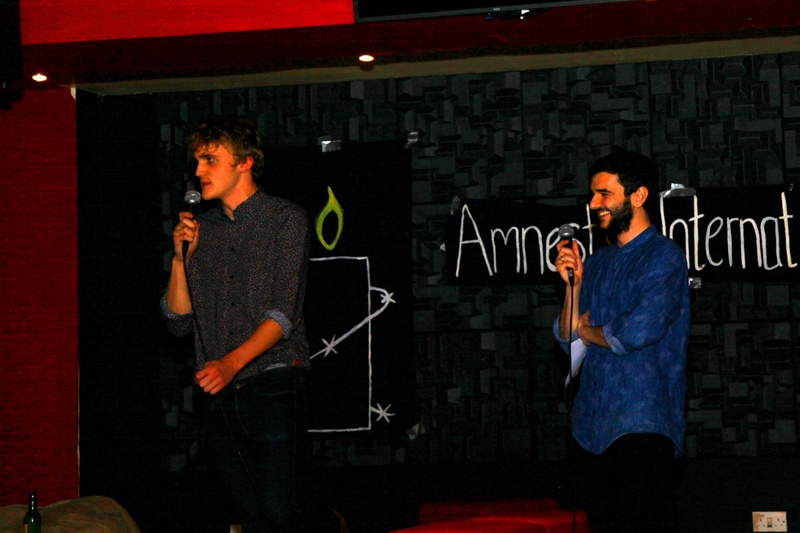 We’ll come back informed, motivated and excited (even moreso) about all things Amnesty. Let me start by thanking everyone who came along to the Pub Quiz- although one team scored the most points*, in my view you are all winners for having braved the howling wind and rain on Sunday to come and support one of our fundraising nights. Pat yourselves on the back. Of course I’d also like to thank Joe and Seb for doing an excellent job of hosting, all the people who wrote questions, ran last-minute printer dashes, brought decorations along, helped mark, took photos, and everything else which helped the night run smoothly. And another well done to Joe for coordinating it all! Early tallies look like we raised over £200, so it was a very successful night! I was later informed that the winning team re-gifted their winnings! You guys are the coolest; and I’ll sign papers to that effect! I’d also like to extend our gratitude to Dr Marco Goldoni for kindly coming along to give us that very informative talk. I found the issues and conundrums raised fascinating and useful for framing future discussion around the role of the law in relation to race and human rights. Lastly for this intro, I’d like to say congratulations to Ruth over at the Coalition for a Conflict Free Glasgow University (GU CFCI) for putting on an excellent conference. The speakers were very informative, with a broad base of the subject being covered. It seemed to inspire the folks who were there on Wednesday, and roll on the next Senate meeting! We will continue to support the CFCI, but if anyone is interested in working on that directly, get in touch with the group via their Facebook page and Ruth will get you involved. This week we’ll be looking at Human Trafficking, our next chosen campaign for the first semester. We are trying to confirm another guest speaker for Tuesday, and we may also have a film clip to show you. It’ll be another exciting meeting for our second campaign of the year (as chosen by YOU)! 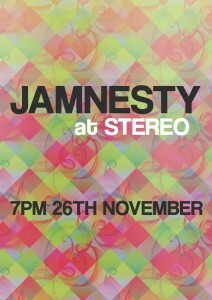 Jamnesty Tickets On Sale Now! 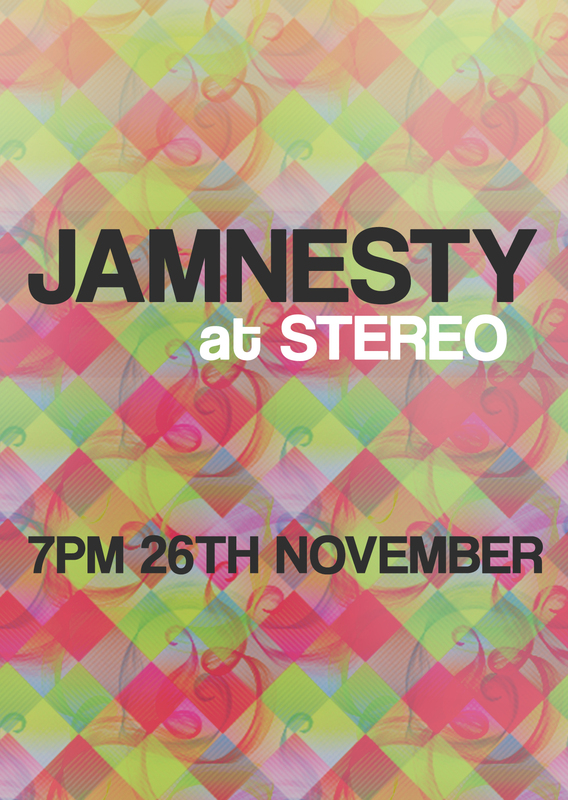 I’m delighted to announce that tickets for Jamnesty next month are now available online. 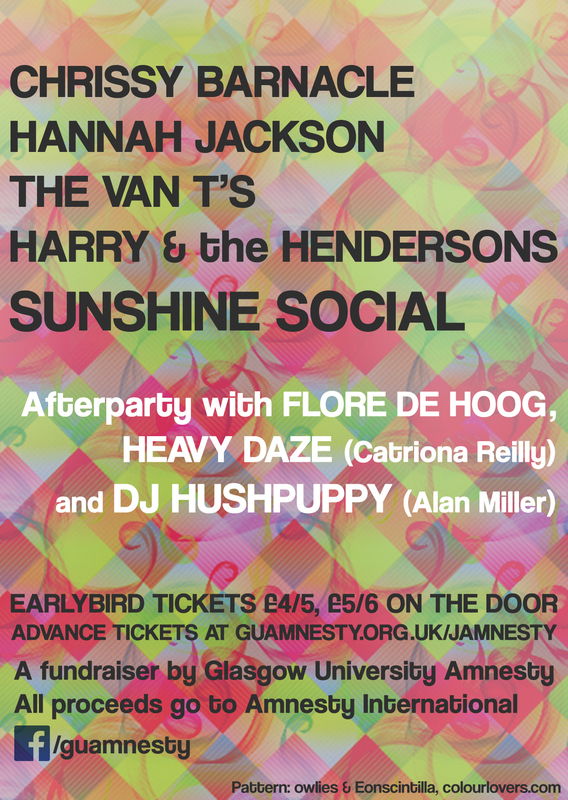 It will be a fab night of music and DJing for £5 (£4 without afterparty) which is a damn good price per hour of entertainment. With music to blow you away from Chrissy Barnacle, Hannah Jackson, The Van T’s, Harry & the Hendersons, and Sunshine Social; and featuring DJing ’til 3 from Flore De Hoog, Heavy Daze, and DJ Hushpuppy. Join the Facebook event and invite your friends. It’s going to be a big one – get booking now! Just a reminder that this week is the deadline for submitting entries to the SPB poster competition. The details are in a previous newsletter which you can find on our website. The deadline is 31st October 2014 and the grand prize is two tickets to this year’s SPB. Plus the whole bunch of kudos and exposure of having your design plastered around the West End and online. 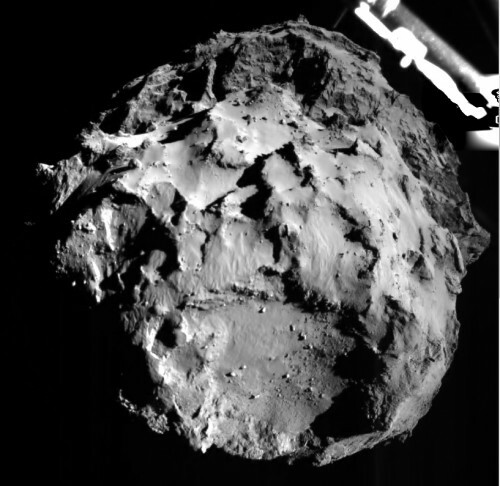 We’ve had a couple of entries already, so get cracking! 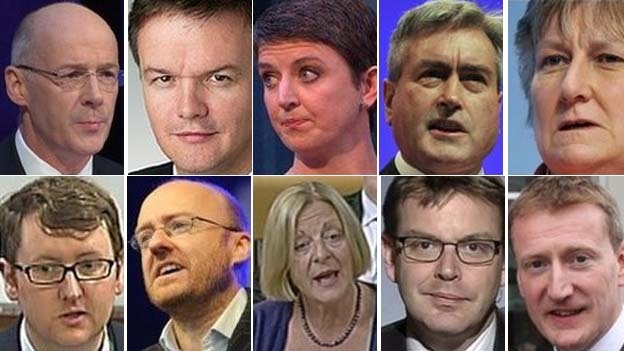 (If you can’t quite make it for Friday, send them in over the weekend and we’ll still consider them). There may be more events added to this list as more societies get involved. We heard that the SRC are happy to endorse this as an official week of events, which is great news! Thanks to Oxfam, GRASS, Unicef, GU Catholics Society and CFCI for coming along and getting stuff planned; and to Alex for chairing the meeting! We’re doing a short-but-important submission for the Smith Commission, as I mentioned at the meeting this past Tuesday. While we want to stay away from any thorny political issues; but given the Rights Referendum campaign that went on during the indyref we felt this was a huge opportunity to reinforce the call for and importance of human rights as part of any settlement process. Update: We have submitted our recommendations, which I attach a copy of here. We would encourage individual members to read others submissions and make their own voice heard, which can be done through the Commission’s website. Let us know if you submit anything! The ongoing protests in Ferguson Missouri have ignited a national conversation about the persistent and widespread pattern of racially discriminatory treatment by police across the United States, including unjustified stops and searches, ill treatment and excessive, and sometimes lethal, use of force. The U.S. government must do more to ensure policing practices nationwide are brought into line with international human rights standards, including the use of lethal force, and to address systemic racial discrimination. The Department of Justice has failed to collect accurate, comprehensive national data on police use of force, including the numbers of people killed or injured through police shootings or other types of force. Go ahead and sign the petition now. Thanks to Sarah for pointing the petition out! This is a month away but it’s worth getting on everyone’s radar now, which is code for “I hope you enjoy being reminded about this for the next four newsletters”. I’ll give more details closer to the time, and we’ll be looking for folks to come along and carry banners or candles. It’s a fairly short march but it always has a good atmosphere, so whether you’ve been before or not come along! In case you missed it, the pub quiz photos were published from last week. Because of the talk by Dr Goldoni on Tuesday and the group work afterwards I only managed to take one photo on Tuesday! The photos from the Conflict in the Congo conference hosted by GU CFCI will go up on their Facebook page soon, but in the meantime please enjoy one sample below! Now ain’t that real purdy? You can see more on the MIMIC-TPW page. Syria has been in the headlines this week. It has been in the headlines for three years now. And the humanitarian crisis in a country wreaked by civil war only continues to get worse. Why has more not been done? Why does the conflict persist? What can we do to help? After a screening in Tuesday’s meeting of BBC Panorama’s ‘Saving Syria’s Children’, I think I speak for us all when I say we were left harrowed, speechless, and asking these questions. The CSR is a collaboration of societies on campus, including Amnesty International, put together to raise funds and awareness for Syria’s plight. Five speakers on Wednesday gathered to inform an audience of students and answer their questions. First to speak was Kurt Mills, a senior lecturer in social sciences and representative of the Glasgow Human Rights Network. He tackled the day’s headlines straight away: 9.3 million Syrians need assistance and the few hundred that the UK are willing to help is a mere 0.0008% of our own population. Mills said that we should demand more than this “cynical ploy” and stop relying on the £600 million that we have donated in aid. Monetary aid is helpful, yes, but it ultimately keeps Syrians “bottled up” in an unsafe country. Three speakers from charities stood up to describe the challenges of the situation and emphasise the good work that is already being done. Tristan Jones from Medicine Sans Frontiers outlined the struggle to deliver medical care in a warzone where hospitals themselves have been targeted. A dwindling number of doctors and resources tackling a huge number of casualties means that basic needs are often not met. MSR have been sending doctors to hidden locations, and giving vaccinations to children and antenatal care to women. From British Red Cross, Patrick MacIntyre told us about the work of the charity in conjunction with Syrian Arab Red Crescent. They work under the principles of “impartiality and neutrality” to provide aid such as medicine, food and hygiene. An Emergency Appeal for Syria was first launched in 2012 and has been extended since. Amby Karamchedu, president of GU UNICEF, focussed on the work being done to help children in refugee camps, such as Zaatari in Jordan, and in Syria itself. Crossing the border does not guarantee security for Syria’s 6 million affected children. UNICEF’s current aim is to “winterise” the camps so that refugees can deal with the extreme climate. Education is often neglected in Syria and the surrounding refugee camps, despite its benefits for the future of the country. Amby mentioned that campaigner Malala Yousafzai travelled to New York to urge UNICEF executives to increase focus on basic education. The most moving speech of the night came from a courageous man who cannot be named. From the ancient city of Damascus, he fled Syria when he became endangered by the state. Many of his family and friends have met their fate since the uprisings of 2011. Recounting his story, he was overcome with emotion to the point of nearly breaking down. He urged us to recognise the “Syrian holocaust of the 21st century”. His words silenced the room. The reaction was unanimous. No matter how many statistics we can reel off and pounds we can donate and articles we can read – nothing compares to the scale of personal tragedy that the Syrian conflict has inflicted. The Q and A session proved interesting, with Mills pointing out that sending aid becomes more futile the longer the political situation goes un-addressed. We were urged to take individual action by donating what we can, informing ourselves and writing to MPs and newspapers. When the question turned to the uncertain future of the country, the refugee concluded that he “can see hope as a Syrian”. The end of the conflict may not be imminent or quick, but we must continue to do all we can to give hope to Syria and its people. If you missed the panel discussion but are interested in the Coalition for Syrian Refugees, look them up on Facebook for information and get involved at two fundraisers this Saturday the 1st, the Challenge and the Ceilidh. P.S. Hello, I’m Ellen, GUAI’s new and first Press Officer! I’ll be updating the site weekly with blog posts and all the Amnesty chat you could ever need and more. See you Tuesday! Happy Saturday and congratulations for making it through the first week back! 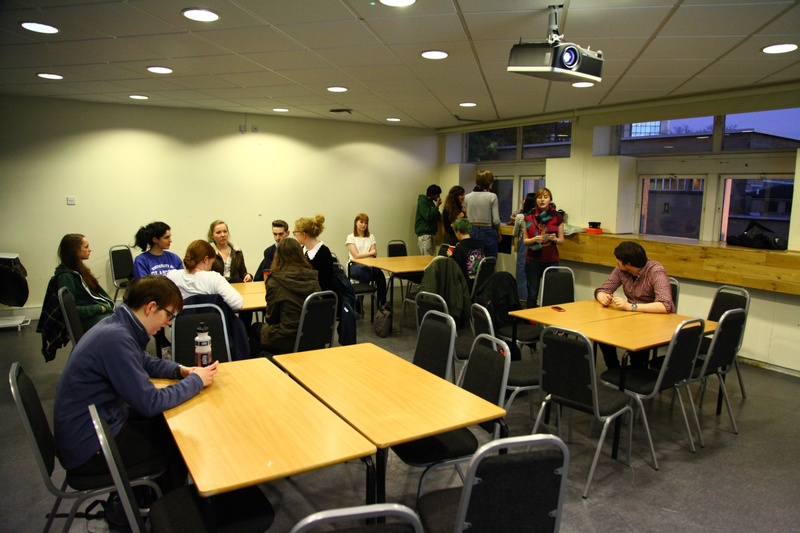 It was great to see so many people at the SPB publicity launch on Tuesday; I hope you all enjoyed the comedy preview! Coalition for Syrian Refugees events pages: Panel discussion – Syria: I can still see hope; the challenge and Ceilidh. Our chosen campaign for this month is Guantanamo Bay. Despite Obama’s promise to have it closed, Saturday 11th marked the 12th anniversary of the opening of Guantanamo Bay and for a number of inmates, including British resident Shaker Aamer, this will also be their 12th year as prisoners. Many of these individuals have in fact been cleared for release but remain detained at the facility despite international pressure to have them released. Find out more on the AIUK website. Guest speaker: we are hoping to have Dr Iain Banks from the University to deliver a presentation on the history of Guantanamo Bay. Demonstration on campus: we are still waiting for the orange jumpsuits so the demo will take place later next week. Fill in the Doodle if you want to take part. GU Amnesty are a member of the GU Coalition for Syrian Refugees, a group formed last year to hold events to raise money for charities who are providing aid to those affected by the conflict in Syria. Chairperson: Assaad Al Achi from the Syrian Non-Violence Movement, a group that AIUK is working with and supporting. The Challenge is for team of up to 4 people who are enjoy a little competition – all in the name of raising money for various funds for Syrian refugees. Registration is open from 12noon and teams will be given a list of challenges to complete in about 2 hours. The challenges are to be filmed on a smart phone and the winners will be announced at the ceilidh. The ceilidh is happening in QUDOS at 7pm. Of course there is a raffle with some fantastic prizes, and this event will round up all our efforts and hopefully see a considerable sum raised for our cause. Our multi-award winning night of comedy is back! 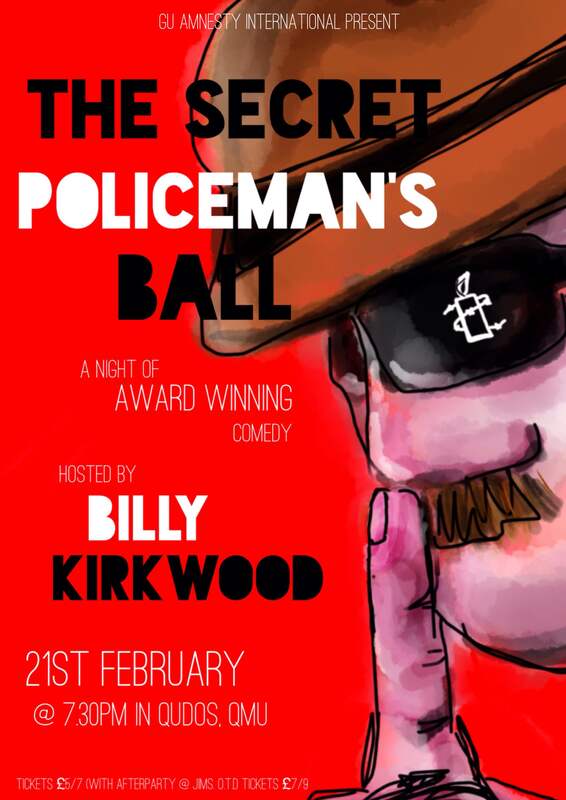 Once again we are bringing you the biggest student charity fundraiser on campus, hosted by Billy Kirkwood. Hi, we’d appreciate it if you could see if any of your members are interested in or are in student cooperatives as we are having our founding conference of Students for Cooperation in Birmingham in February! We have some funding too to get students down from Scotland. It is a new national organisation (and cooperative!) for student cooperatives to get together and to help new cooperatives form, thanks! We are invited to the North-East regional conference organised by students at Newcastle University. The agenda will be emailed to us at the end of the month but they have requested that we let them know if any of us are interested in attending. Arrangements for food and accommodation will also be detailed later on. As you can probably tell, we have a very busy semester ahead of us! 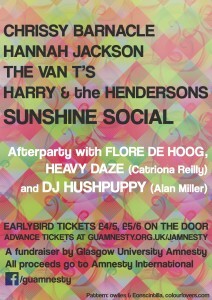 It’s going to be fantastically hectic for the committee but huge amounts of fun for all.